This was good, and the beef patty was juicy and cooked nicely. The mushroom soup was also very tasty although I should have gone for a lighter side since the burger was quite large and heavy. 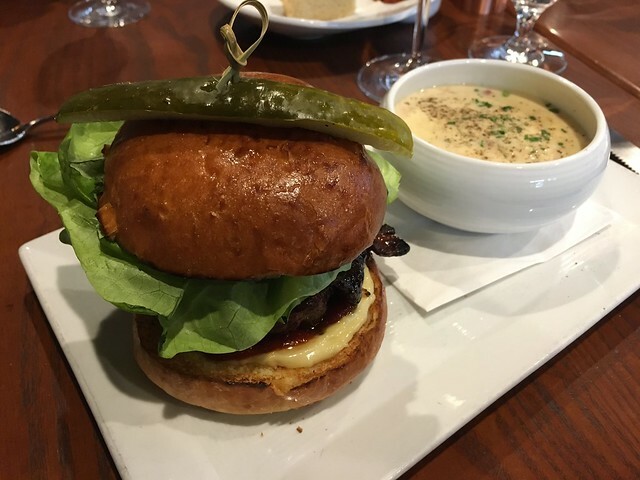 This entry was posted in Barking Frog and tagged bluecheese, burger, food, hamburger, mushroom, portobello, soup by vicentesf. Bookmark the permalink.